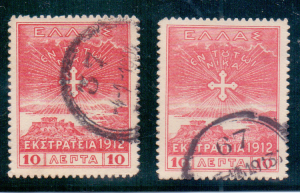 10 l campaign stamp with Cretan Rural Service pmk # 37 (ΜΟΙΡΑΙ). 10 l campaign stamp with Cretan Rural Service pmk # 67.(ΤΟΥΡΛΩΤΗ). 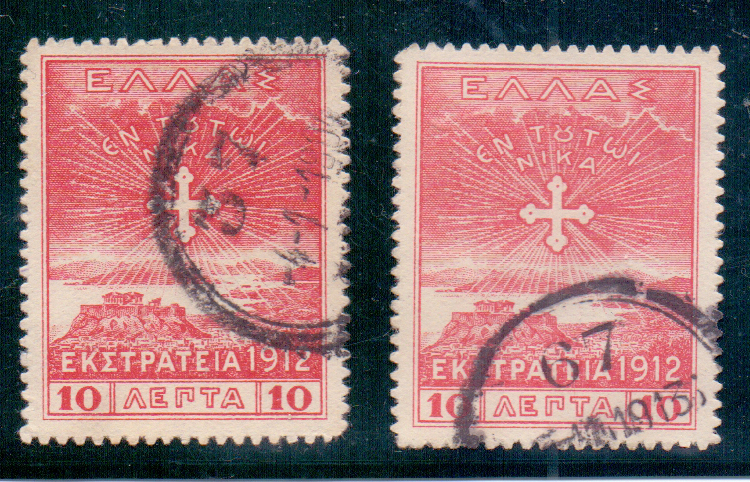 Greece, Crete, 1913, Two 10 l campaign stamps with Cretan Rural Service pmks # 37 and # 67.